My reason for going to the Brisbane Ranges National Park was to participate in Amateur Radio Victoria’s ‘Show and Tell’. I had been reading the various emails on the groups to which I belong and thought I would attend. It would be very easy to tack on two or three extra days to our trip to the Grampians National Park. I did not publicly commit to going until the Saturday before the Show and Tell. I wanted to create a bit of a surprise. I drove on the route from Ballarat to Brisbane Ranges National Park using the track suggested by the GPS in the 4 x 4. 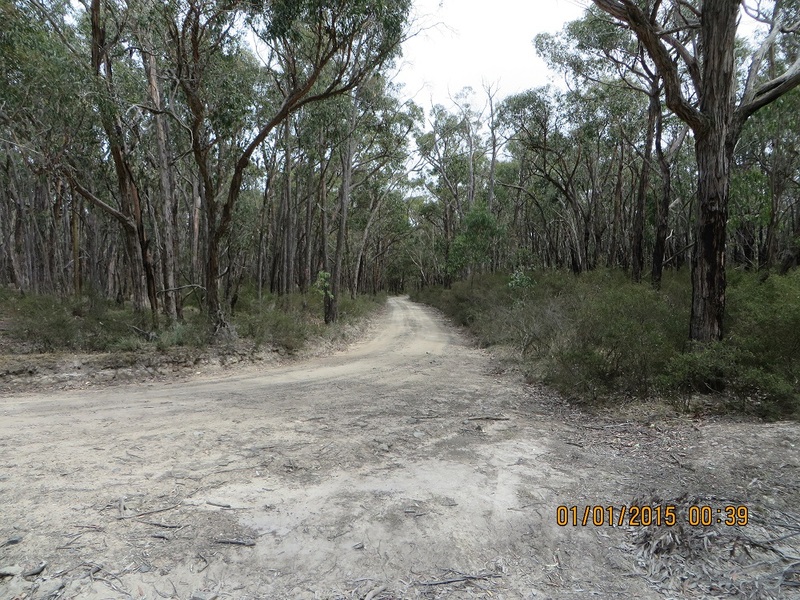 This approach has a few narrow roads and some gravel but it is a shorter way than driving to Ballan down the freeway and driving to Boar Gully Camp Ground (the approach I took on an earlier activation). When we arrived at the camping ground, which is just inside the Park boundary, I spotted Tony’s vehicle. We shared a warm hello and he said that the interstate parking lot is the next one down the track. He had hired two camping spots for the day. We noticed a camper already in this area but there was plenty of room for our vehicle. The owner was John, VK2AWJ, from Gol Gol New South Wales. Gol Gol is not far from Mildura, more or less on the other side of the Murray River. So the two Johns shared a car park. I have had contacts with John of many occasions and it was great to meet him. I made a point of meeting all of the participants. I was later to have a contact, with VK5PAS/P, using John’s KX3. There were a number of intrepid SOTA and Parks operators present and I really enjoyed meeting them all and learning from their presentations. We had met Tony, VK3VTH, previously when I was activating Barmah National Park. Everyone else was new to me: all I had to work with was memories of photos on blogs and various websites. It worked well. I met VK3ZPF, Peter; VK3ARH, Allen; Amanda, VK3FQSO; her husband, Bob, VK3FLAK (and their three children), Chris, VK3PAT and Peter, VK3TKK. All of the above amateurs are frequently on the bands activating or chasing and I have had many contacts with them. I also caught up again with Marc, VK3OHM, whom I met at the WIA annual general meeting 2015 in Canberra. Finally, it was really good to meet Joe and Julie, VK3YSP and VK3FOWL. We have had lots of contacts over the last three years. I learned many new ideas from Joe: his adaptation of the Aboriginal Woomera is most impressive. Instead of launching a spear this very smart device launches a lead ball with a light weight rope into very high trees. He might have had the rockets at the Woomera Rocket Range in South Australia in mind when we were all advised to stand well back from the launching area! Joe and Julie demonstrated their portable sattelite station and had a contact (which I did not see as I was discussing antennas with Tony at that time). I was also very impressed with his ‘tree-grabbers’, which provide another way of getting an antenna into a tree. The other folk I was introduced to were all new to me. Allen, VK3ARH, showed me his trail friendly Mountaintopper three band CW transceiver. If one was disciplined enough to use one of these the reduction in weight carried on SOTA activations would be enormous. These radios are about the size of a deck of cards! I had quite a discussion with Bob, VK3FLAK, on air one day about remote area power supplies. He has since that discussion increased their system with more panels and larger battery size to handle more demanding loads. We have replaced the battery once and we are now in our fifteenth year of being off-grid. Most of those present displayed some parts of their portable stations and many were on the air. At one stage I hear Paul, VK5PAS/P calling and John VK2AWJ, offered his KX3 already set up to enable me to contact Paul. This was my only contact from Brisbane Ranges National Park. 00:40 7.095 VK5PAS/P, Paul, Cooltong Conservation Park, VKFF-0823, s53 r57. This photo shows some of the displays at the Boar Gully Camping Ground and also Bob, VK3FLAK, deep in discussion with Peter, VK3ZPF. Tony’s set up, including his tent, in in the background of the picture. Thanks Tony, VK3VTH and Amateur Radio Victoria and those who attended making it a most enjoyable day. So the longer I take, the happier she is! We stayed in Ballarat for two nights. Access to the Park was achieved by taking the Freeway to Ballan and then travelling South to Wallace and then taking the track into the Park. 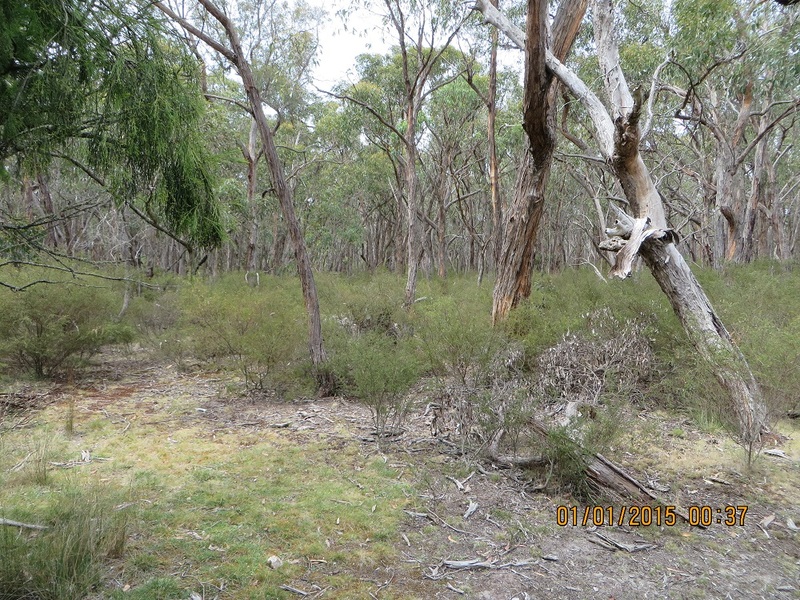 We chose Boar Gully as it is the closest access point to Ballarat. We inspected the camp ground and it was almost empty: just two or three camps on the property at this time. It would be empty today as campers would be required to leave because of the Total Fire Ban day. The camp site is right on the boundary of the Park. I had 29 contacts beginning at 22:53 hours UTC and finishing at 00:20 hours. 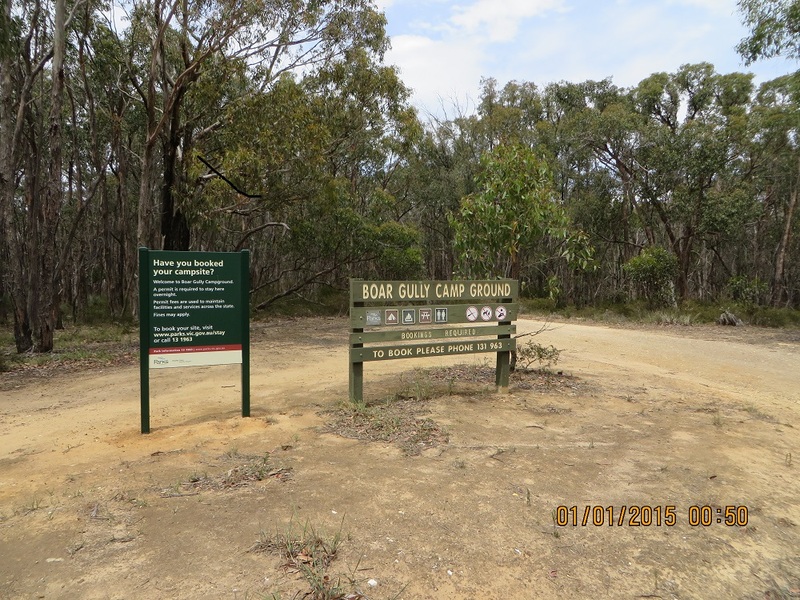 There was no mobile phone contact at Brisbane Ranges National Park where I established my station so I could not add a spot. Stations were worked in VK1, 2, 3, 5 and 7. I was operating my FT897 at 10 watts, although I increased power to 20 watts to work VK3MRG/P3, Marshall at VK3/VC-029. All my contacts have been up-loaded to LOTW and HRDLOG. Thanks to all operators who gave me a call. It was great fun and all calls are greatly appreciated.